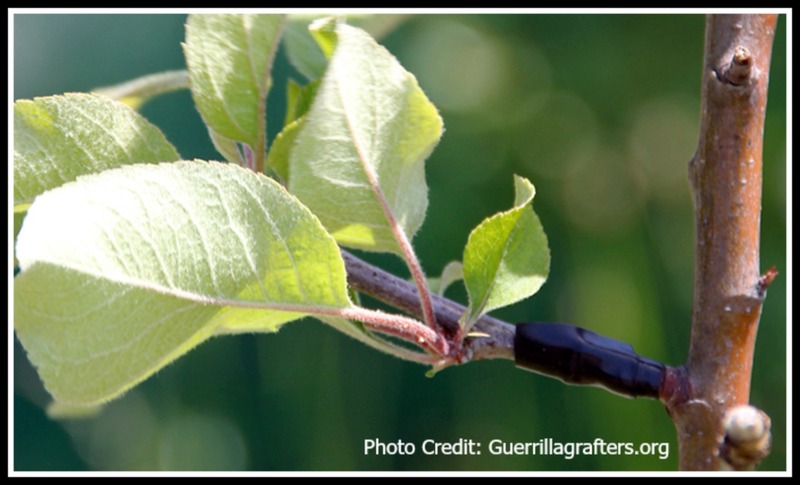 A flowering apple tree in Oakland, Calif. with two successful grafts from an apple tree which bears fruit. Good morning, everyone. I know many of you are preparing for the upcoming holidays – cooking and spending time with family – so I thought I’d post a short article today. Last week, I learned about an organization that is attempting to create “food forests” within urban “food deserts.” It’s definitely an agricultural take on civil disobedience, and they have recently left their mark in San Francisco. Guerilla Grafters! The other day, I was thinking about possible additions to my front-yard orchard. Last spring I planted two Grenada pomegranate trees and a Celestial fig tree, and this past fall I planted an All-in-One almond tree. After considering the climate I live in, I thought pears might be nice. So, I went to the website of my preferred nursery, Willis Orchards, and looked at all the pear trees they offer. I already knew that certain fruit and nut trees won’t grow in my area, but now I know the reason why. But wait, there’s more!